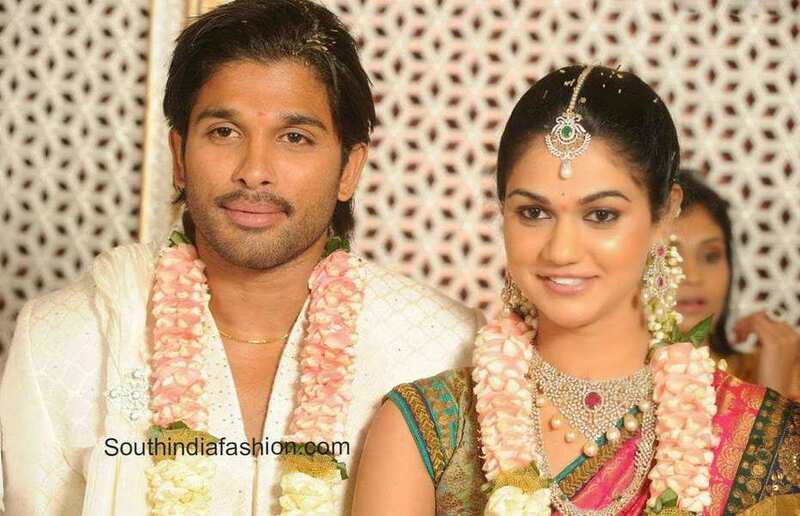 Stylish Star Allu Arjun married Sneha Reddy, daughter of prominent Telangana educationist Kanchara Chandrasekhar Reddy on March 6, 2011. 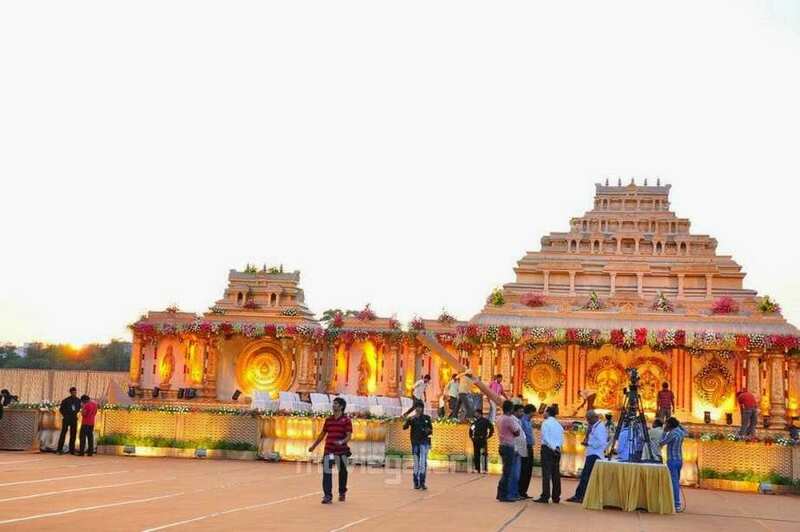 The big fat Tollywood wedding took place in Hyderabad. 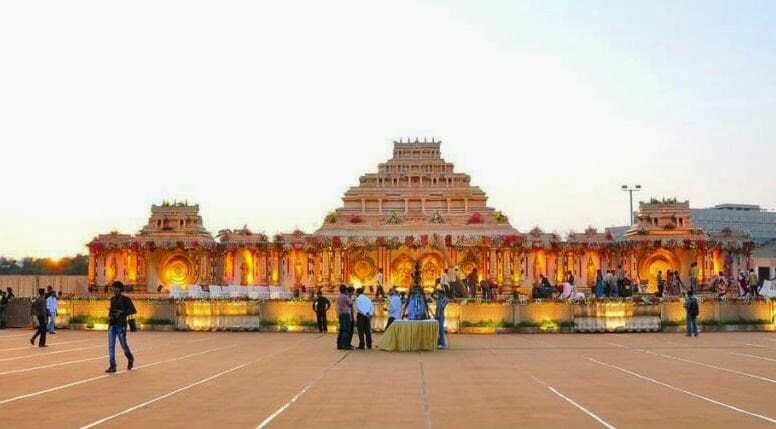 Well known politicians and actors of Bollywood and Southern film industry have attended the ceremony and blessed the couple. 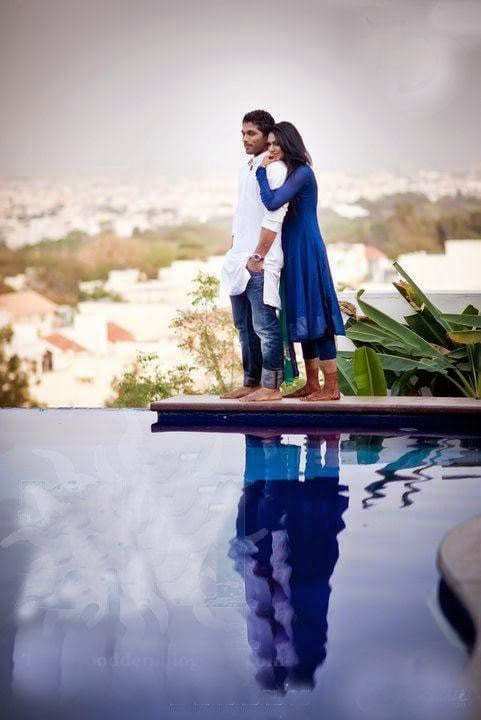 The engagement ceremony of Allu Arjun and Sneha Reddy took place at Hotel Novotel in Hyderabad on November 26th, 2010. For the occasion Sneha first wore a green net Sabyasachi saree. She later changed to a pink Sabyasachi kanchipuram saree. She looked elegant in beautiful diamond jewellery. 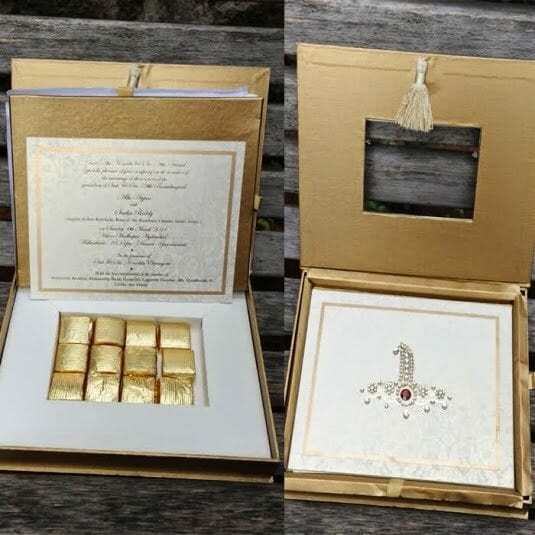 The invitations are designed by a famous New Delhi based designer and painter featuring two-tiered box in cream and gold with one compartment containing the invites and the other chocolates and sweets. 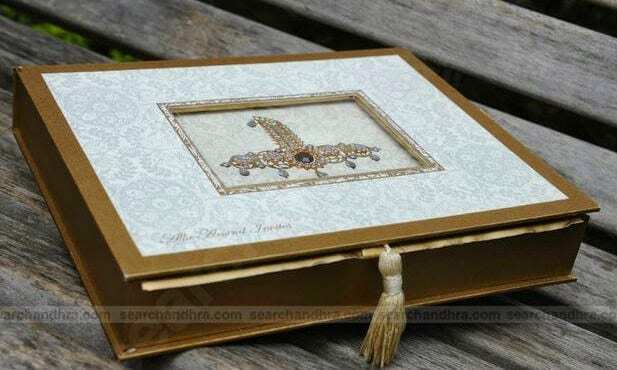 Each invitation card cost nothing less than Rs 1,500. 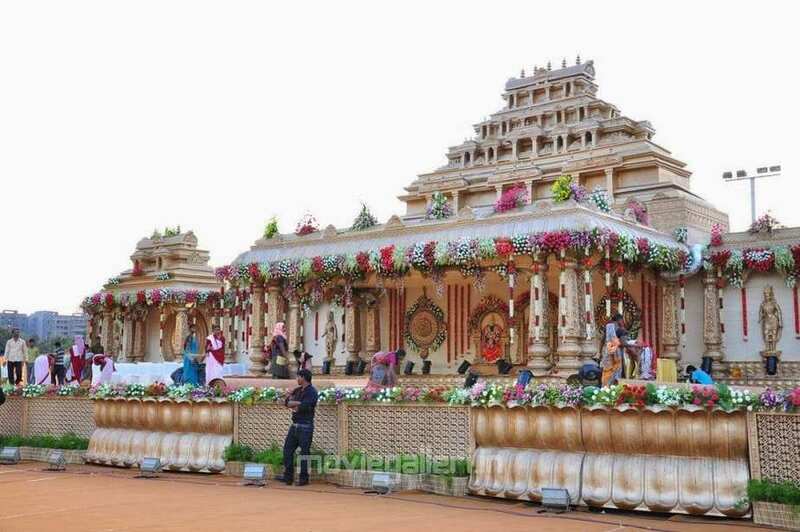 Allu Arjun’s Sangeeth function was held at Taj Krishna on the night of 4th March. For the Sangeet event Sneha wore silver glittering lehenga and blouse teamed up with pink and orange embellished duppatta. A broad diamond ruby necklace and matching bangles and earrings finished her look. She looked lovely. 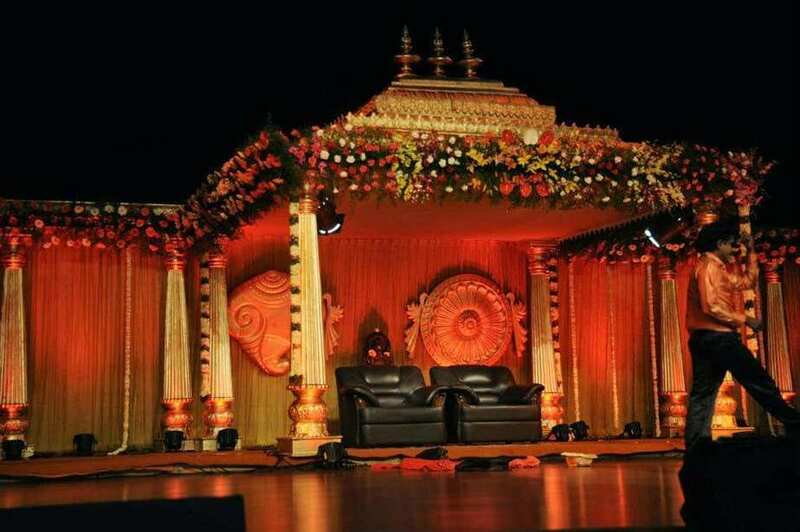 The main wedding function was held at Hitex Grounds, Madhapur on March 6, 2011. 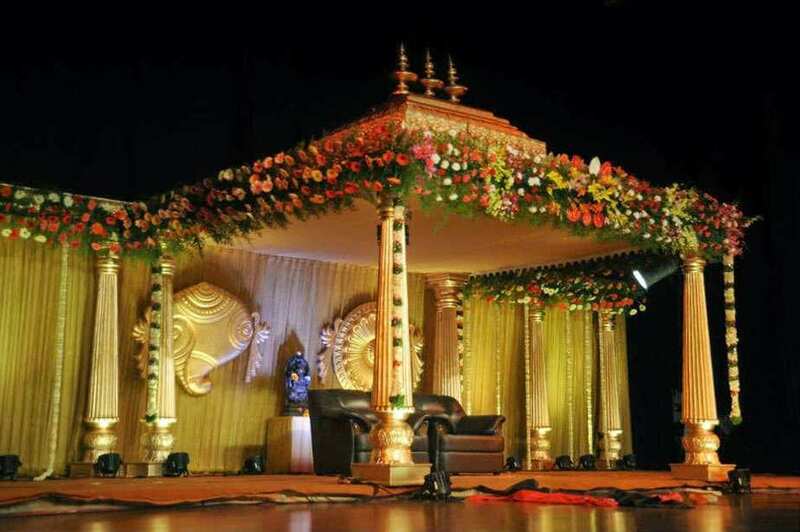 The wedding mandap was designed like a Tirupati Temple. For the wedding the bride wore a gold and pink kanjeevaram silk saree while Arjun wore a white sherwani by JJ Valaya. 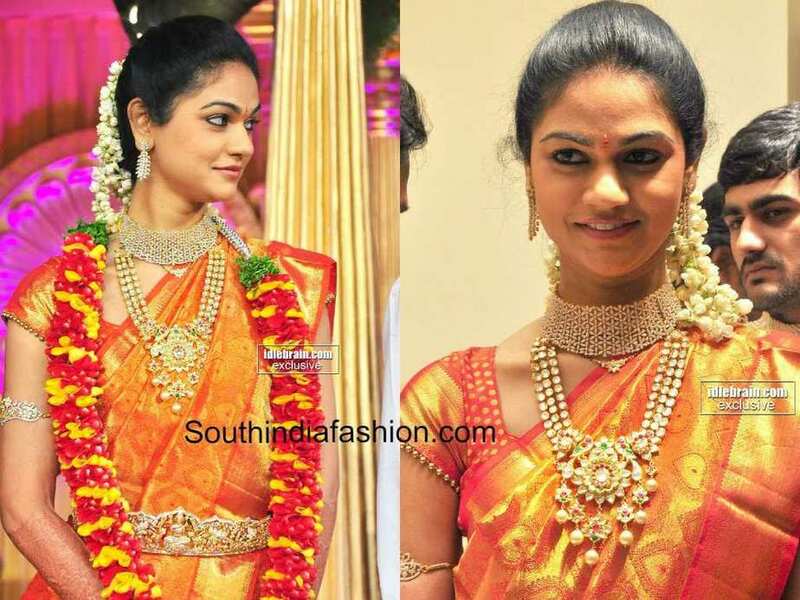 Sneha looked stunningly beautiful in exquisite jewellery. A grand reception was held for Arjun’s fans at Shilpa Kala Vedika in Hyderabad. For the wedding reception Arjun wore a red embroidered sherwani while Sneha was draped in red and gold pure Kanjeevaram saree. A dazzling diamond choker set , kundan long chain and diamond waist belt finished her look. She looked stunning! Although many photographers captured their wedding moments, Joseph Radhik was their exclusive photographer. 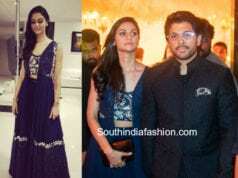 Allu Arjun at C-Space launch! 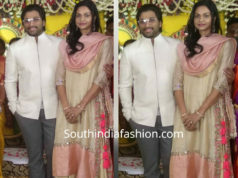 Allu Arjun and Sneha Reddy twinning in white! nice.. I am a big fan of Allu Arjun. I really like his movies a lot.